Mini Air humidifier which can carry anyway for immediate skin humidification and with built-in 2600mAh rechargeable battery can act as immediate power bank. 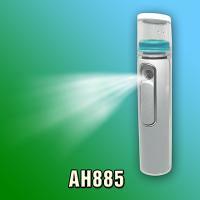 Spray time : 1.2 - 1.8ML / MIN.. 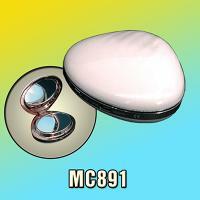 Elegant Sea Shell design with built-in mirror and 3600mAh Lithium polymer battery enable fast heating effect and act as immediate power bank. 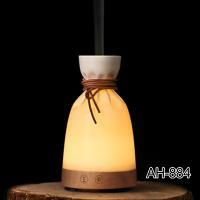 Wooden A SACK design of ultrasonic diffusing features enable the essential oils beneficial to human body absorption. 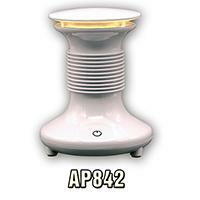 It may also serve as air humidifier with night light.